Beston garbage recycling machine is always an excellent choice for people to sort the waste. In order to take full advantage of these waste, sorting process of recycling garbage machine is combined with several garbage sorting methods. Because of its high sorting rate, more and more investors choose Beston Machinery. As so far, this machine has been installed in Uzbekistan, Hungary, etc. Customers used this machine to turn a large amount of waste into resources. 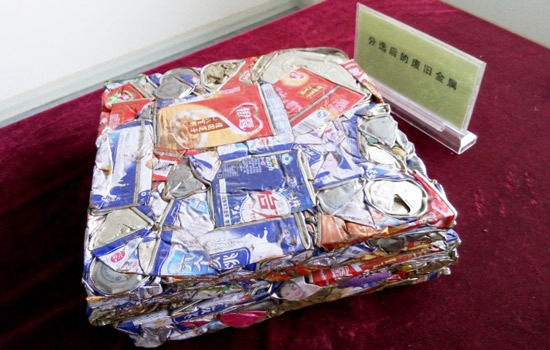 It has become an significant meaning in recycling garbage and protecting environment. a. Deodorization System. 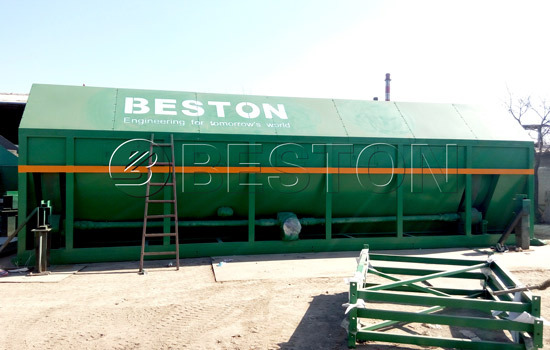 Beston garbage recycling equipment is equipped with deodorization system. This deodorization system is mainly used to eliminate unpleasant smell from garbage. Accordingly, the environment of workshop will be greatly improved and the health of workers will be guaranteed. b. Recycling the Waste. This waste sorting machine aims to turn more and more garbage into different types. Then these sorted waste can be used as resources and achieve the goal of circular utilization. 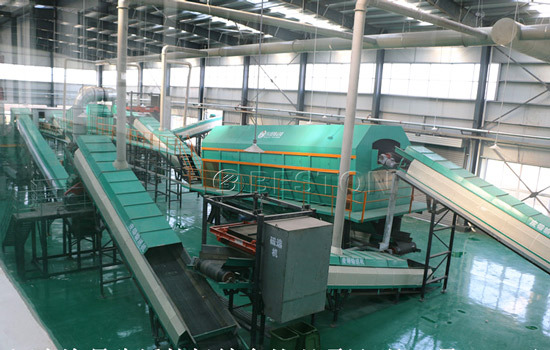 Therefore, garbage sorting machine has profound meanings for establishing environment-friendly society. a. Saving cost. Entire sorting process is automatic, which means few labor. Once the garbage processing plant don’t need a large of labor force, a sum of labor cost will be saved. b. High sorting rate. 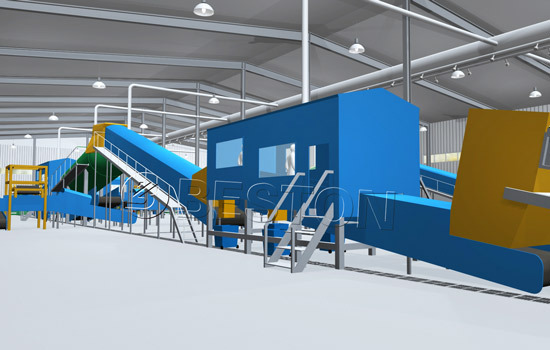 Automatic sorting system has two advantages. Firstly, because this plant is equipped with PLC, it is easy to manage. 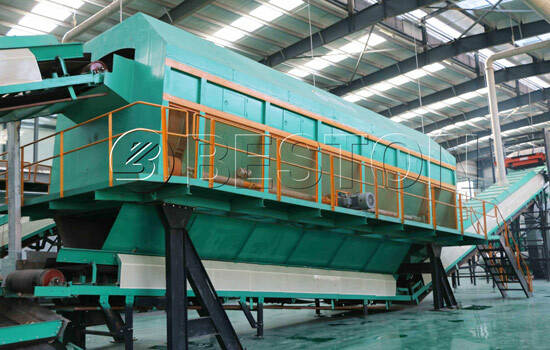 Secondly, in this automatic system, it combines with comprehensive winnowing machine and rotary screening machine. These parts guarantee the sorting rate of waste. Nowadays, people attach more importance to environment and resource recycling. This garbage recycle machine has a more promising development in the future. The sorted waste can be dealt with respectively to make profits. 1. The components of garbage you are going to deal with. 2. 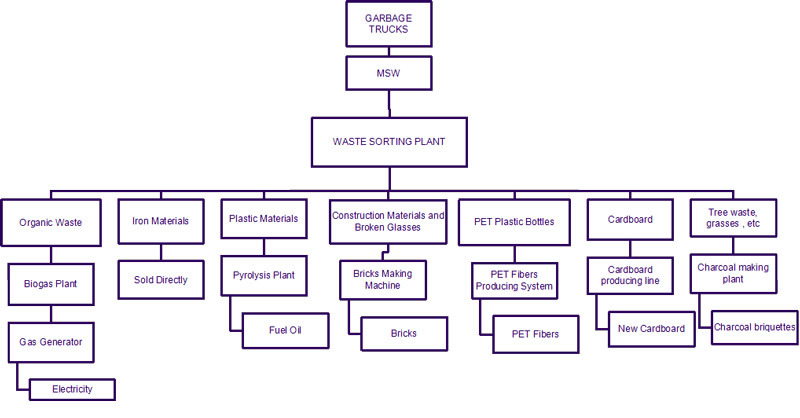 What types of waste do you want after sorting? 3. How do you want to deal with sorted waste? The most concerned issue is the price when we plan to establish a msw treatment plant. The main fund we must to invest includes garbage recycling plant cost, waste cost, electricity cost, maintenance cost, etc. 1. Garbage recycling machine cost. If you want to do recycling business, you have already searched for several other machines which have different prices. Beston Machinery offers you with reasonable machine cost, which is worth investing. 2. Waste cost. You need to get a steady supplying of the waste, which is beneficial for your business. Waste cost is always low. Accordingly, you don’t need to invest too much in waste. 3. Electricity cost. The electricity is the key of running the whole garbage recycling plant. Therefore, you should get some budget on electricity. 4. Maintenance cost. Any garbage recycling plant in the world needs to be maintained regularly. Scheduled maintenance is conducive to prolong the service life of waste sorting plant. Accordingly, a number of fund spent on maintaining is necessary. a. 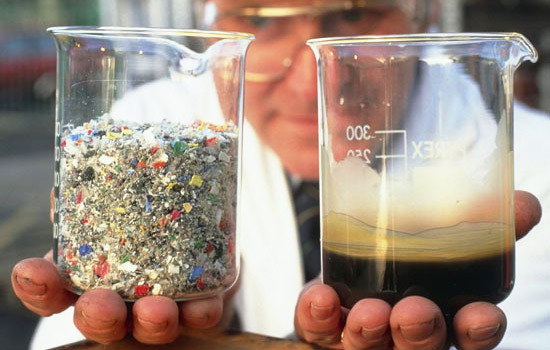 Converting waste plastic to fuel oil. 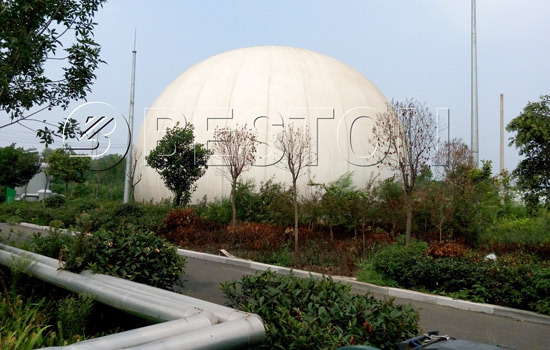 We can use pyrolysis plant to produce oil from plastic through pyrolysis. b. Recycling plastic to make new plastic products. These plastic can be packed and reprocessed to other new plastic products. a. Packing metal and sold it directly. It is available for you to sell waste metal to steel plant, foundry, etc. b. Reprocessing metal to make new metal products. Composting to make energy. Waste organic matters can be used in the composting system to produce fertilizer for agriculture. 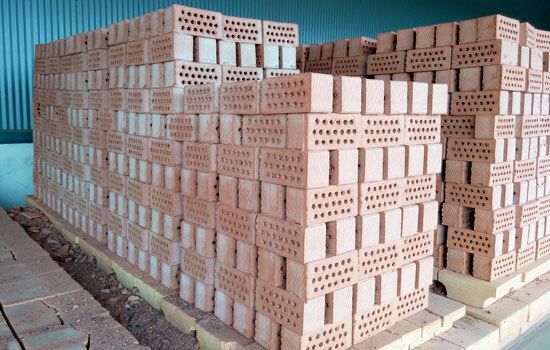 Making bricks for construction sites. Many people think stones and sand are useless. Actually, the bricks made by them have wide application in our daily life. Nowadays, although the standard of life has gradually improving, the environment has become worse. Due to the waste increasing substantially, the influence has been reflected in water, soil, air, disease, food in our daily life. Accordingly, more and more people appeal to manage these waste to protect their health and environment. Adopting Beston garbage recycling machine is an excellent idea to manage these waste, which satisfies people’s demand. At the same time, investors can also make profits from this waste management business. After all, this trash processing plant aims to service customer to get benefits. In the near future, more and more countries will join this project! 1. Installation service and training for your workers at your site. 2. Turnkey project which is satisfied with your different requirement. 3. One-year maintenance. In addition, we provide half-year of free quick-wear parts for customers. 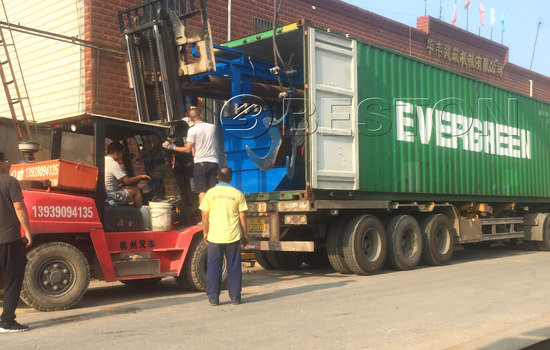 Because of competitive price and excellent performance, Beston garbage recycling machine attracts more and more customers’ interest. Beston Machinery provides three model (BFX-100, BFX-200, BFX-400) from small scale to large scale. At present, these models have wide application in foreign countries. We believe this machine will create more and more benefits for customers in the future.